Fukuoka/Taichung. The first two participants for the second round at the 2013 World Baseball Classic are known. Cuba and Japan advance in Pool A thanks to the Cuban rout over China on Monday in Fukuoka. Both baseball powerhouses have two wins apiece, while their opponents Brazil and China remain winless with two games left on the round-robin schedule. Meanwhile in Pool B the race for the second round remains wide open after Korea’s shutout over Australia. Cuba scored ten runs combined in the fourth and fifth of a 12-0 blowout over China on Monday afternoon at the Yahoo! Dome in Fukuoka. It was their second win in as many games in Pool A, while China remains winless. Jose Fernandez scored four times and Jose Abreu hit a grand slam and drove in five to lead the way. Danny Betancourt struck out eight for the win on the mound. 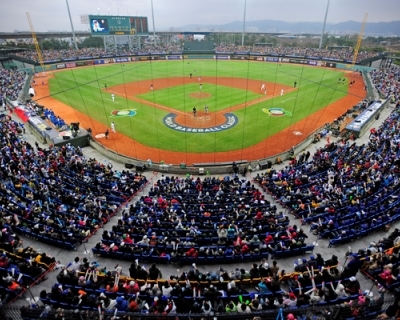 In a do-or-die game for both teams Korea had the better ending, besting Australia 6-0 to stay alive in Pool B of the 2013 World Baseball Classic. The last Gold Medal winner at Olympic Games scored four runs in the first two frames en route to the win. But the pitching staff was the real hero, as six hurlers allowed just six hits and two walks through nine scoreless innings, while striking out 12. Korea is now 1-1, as Australia dropped to 0-2 in the first round. First-round play in Pool B in Taichung will come to an end on Tuesday. Two games are on the schedule, which will determine the two advancing teams. Chinese Taipei, the Netherlands, Korea and Australia are still in the race, hoping to join Cuba and Japan in round two at the Tokyo Dome. In the afternoon the Dutch team will face Australia. Afterwards the Intercontinental Stadium will be packed for the duel between Chinese Taipei and Korea. In Fukuoka China takes on Brazil in a game, which will determine third place in Pool A. The clash between Japan and Cuba for the number one seed will follow on Wednesday. Photo; World Baseball Classic, Inc.